The Dartmouth Big Green: After the 0-2 start and Gabas Maldunas’ season-ending injury, it was looking like yet another lost season for Dartmouth. But Coach Cormier rallied his troops and got the Green to play with a remarkable amount of energy and poise this weekend, sweeping the P’s in Hanover for the first time since 1989. John Golden, Tyler Melville, and Alex Mitola stepped up with big shot after big shot and Dartmouth managed to make all the right plays down the stretch to earn the upset victories. Rafael Maia and Norman Hobbie: Brown’s Sean McGonagill was his usual dominant self this weekend, putting up 15 pts, 8 rbs, and 6 ast in Friday’s win against Cornell. But McGonagill had some valuable help both nights. Big man Rafael Maia could not be stopped on Saturday, going for 18 points on 9 shots and 12 rebounds (6 offensive, 6 defensive). Maia, certainly not known for his range, hit both of his 3-point attempts and is now shooting 4-6 on the season from distance. Meanwhile, freshman Norman Hobbie’s sample size from outside is a bit larger but no less impressive. Hobbie went 8-14 from three-point range this weekend, including an 18 point performance off the bench against Cornell. The hot-shooting Bears roll into Harvard on Friday night with first place on the line. Yale Defense: The much-maligned Yale defense showed up this weekend in a big way. The Bulldogs forced Columbia into more turnovers (16) than field goals (14) on Friday night. On Saturday, they allowed only four Cornell players to score, forcing Nolan Cressler (29 pts) and Devin Cherry (19 pts) to try to beat them single-handedly (they almost did). This team plays slow and physical. They’ll get you into foul trouble and test your depth; then they’ll pound the ball inside to Justin Sears who is drawing 7.2 fouls per 40 minutes, one of the highest rates in the country. Harvard’s Title Chances: If you are a Harvard fan, you woke up happy this morning. Why? Well, the Crimson is one home weekend sweep from being up two games on the entire Ivy field. Moreover, Harvard’s supposed biggest competitor, Princeton, sits at 0-3 in conference play, while the dark horse Columbia Lions were just swept to fall to 2-2. The strong middle of the league is cannibalizing itself before the second weekend in February. It’s scary to consider, but Harvard might win the league by four or five games, especially if Laurent Rivard gets the shots he did this weekend, going 11-17 (65%) from 3PT. QuadView: The experience of being an Ivy League basketball fan has not always been an easy one, filled with fuzzy Internet streams, half-filled high school-sized gyms, and $7.99 payments for on-demand video that works half the time. But hats off to the Ivy League office for the digital video package they’ve put together this year. Being able to watch four exciting games at the same time in HD quality is pretty awesome. It warms my heart and makes this mid-major website feel big time. While of course the home teams won every game this weekend, I don’t think that’s the most meaningful way to look at the Ivy race. 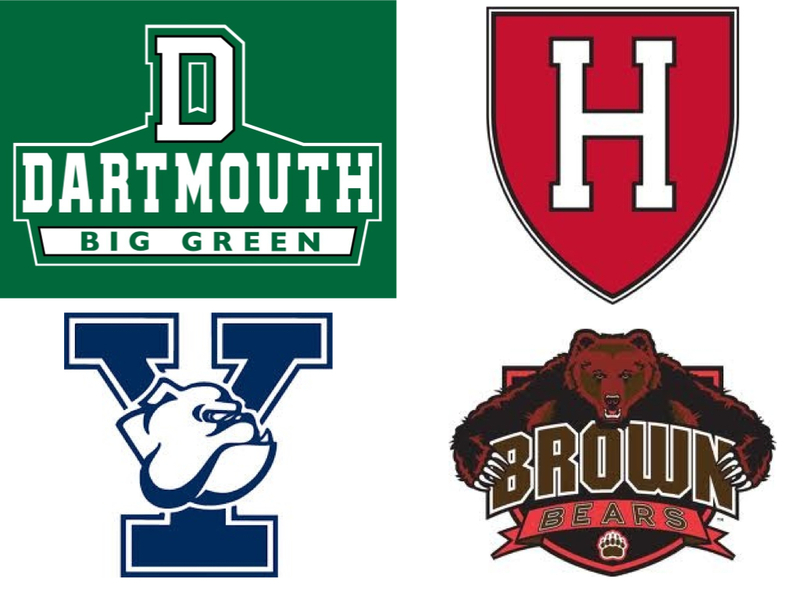 No, if you take a step back and look at the forest rather than the trees, the more important conclusion is that the Ivy League has become one program pursuing a solitary policy on academics and admissions, with the other seven teams following an AI rule which has successfully created among those seven its intended effect: Parity. With the possible exception of Cornell, the other seven teams have become a coin flip competition, with home court advantage enough to tip the balance over a small sample size. Meanwhile, Harvard is going in its own direction, oblivious to any concern for the League. We need to be careful here. The Ivy experiment, to combine top level Division I athletics with rigorous academics and admissions requirements, has always been a fragile construction. If Harvard is not reigned in soon, it will destroy the conference.